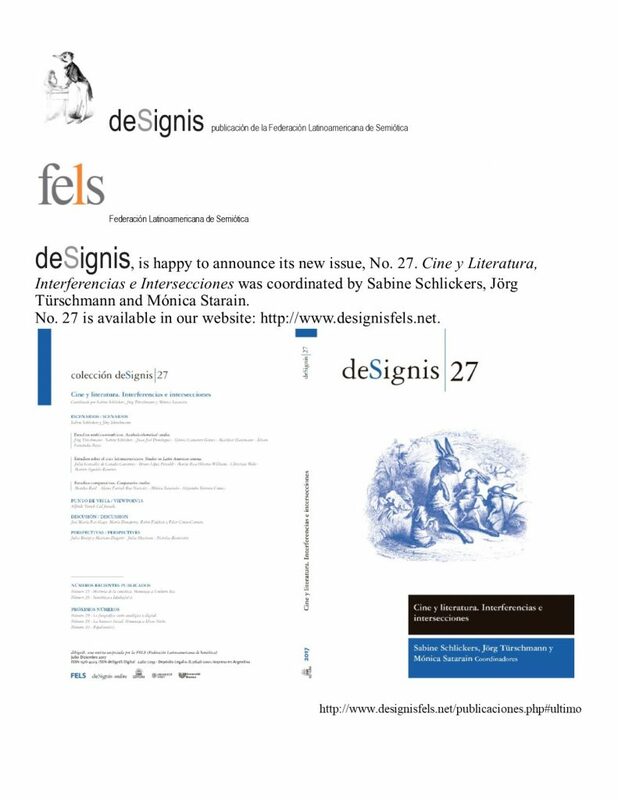 deSignis, Latin American Federation of Semiotics Journal, is happy to announce its new issue, No. 27. Cine y Literatura, Interferencias e Intersecciones was coordinated by Sabine Schlickers, Jörg Türschmann and Mónica Starain. It is available in our website: http://www.designisfels.net.